Collections processes used to be simple but actual debt collections was not easy here is a great example of a payment process in the 80’s; The debtor, yes they were called debtors back then, agreed to send you 12 postdated checks for $56.11 each to pay his Shell Oil bill. You talked to him at his work so he had to go home to get the checkbook and write out 12 checks dated one month apart. Then since you created such a sense of urgency in getting the payment ASAP he goes to the Greyhound bus station with the checks. Remember this is before FED Ex, UPS, Express mail…The debtor sends the 12 checks on Greyhound Package Express and it arrives 2 days later at our local Greyhound station for pick up after transferring from bus to bus. The collection manager drives to the bus station daily to pick up our packages and then they are posted to the account. BTW the second check usually bounced. Collections used to be simple. You needed the collection system to show you the account and that’s it. The collector did the rest – send a letter, set dates ahead….. All the hard work was to train the staff to perform the tasks well. I was a collector at GC Services when that first collection system of record showed up in the early 80’s. We moved from ledger cards to that system, and eventually it worked well, to bring up the account. This was easier than finding the ledger card – trust me! And that is all we needed, and that is what the system was designed to do – show the account, period. Name, address, phone number, amount owed, letters sent and notes – that was it. Today, we cannot let the collector make the decisions on what account to call, when and where to send letters, skiptrace or most other activities. 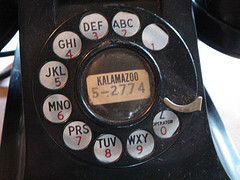 We now desire the business rules to determine the account flow and frequency of calling, so we need much more control. Add compliance, consumer lawsuits, client requirements, educated consumers – and it’s suddenly got very, very complex. We need a system that can stop that collector from making the call or sending the letter. Ironic huh? Now let’s add in the volatility in the collection software marketplace. Providers are often changing ownership by sale or merger, and this changes the focus with each ownership change. Can you trust your software to a company that was just purchased? Or one that just merged with the competition? Why would you go with company that has 5 versions of software and some of those versions have failed to sell or work properly and were recalled? What are they trying to do? As a consultant to the collection industry I could align myself with any vendor so why do I choose Quantrax and RMEx? it’s simple. It is the best software solution for my clients. Quantrax was built in a way that other systems have not embraced change and innovation, and that structure and the power of an IBM platform will be the wave of the future. So get on the boat now or later. It’s up to you. By being positioned for the future you will be the future. Quantrax has had one owner and in fact, the same owner from its inception to today. With only one vision for the last 25 years, to create the most powerful EXPERT collection system on the planet. If you want to see all the major differences between RMEx and other systems just take a 1 hour demo. Face it, you’re going to change software at some point. Why wait?